After working in city politics, and running an art school, Abigail Dowd needed a change. She packed up her great-grandfather’s guitar and took off to Florence, Italy, to Ireland, and later to Maine, to spend some time reconnecting with herself and her music. The trip turned into an eight-year journey. Host Frank Stasio speaks with singer songwriter Abigail Dowd. She and musician Jason Duff play live on the State of things from the Triad Stage in downtown Greensboro. 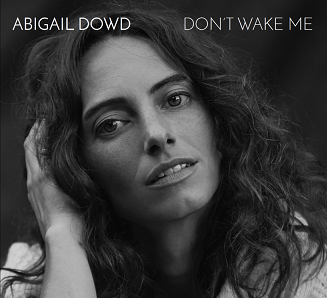 The classically trained guitarist and singer has now come home to North Carolina to release her debut album “Don’t Wake Me.” Dowd speaks with host Frank Stasio about new music and about her continued work as a community organizer. Dowd plays with musician Jason Duff April 13 at 6:30 p.m. at Foothills Brewing in Winston-Salem, and April 14 at 5 p.m. at the Abbey Road Tavern in Cary. Dowd will perform with Duff in Greensboro and Southern Pines later in the month, in addition to other North Carolina cities. More than 4,000 people surrendered their homes and land to create the Great Smoky Mountains National Park. The park covers more than 500,000 acres and straddles the border between North Carolina and Tennessee.